Vijender Singh, who has notched up five consecutive wins in Pro-Boxing, will be aiming to keep his unbeaten streak alive when he squares up against Andrzej Soldra of Poland. Indian boxing star Vijender Singh will square off against Poland's Andrzej Soldra in his sixth professional bout on May 13, which would be followed by his highly-anticipated WBO Asia Title Fight on home turf on June 11. Vijender will face Andrzej Soldra at Macron Stadium, Premier Suite, Bolton. The 30-year-old Indian super middleweight ace is undefeated in five fights with five knockouts in only 14 rounds of action. Soldra comes into the fight against Vijender with a record of 12 wins with 5 knockouts from 16 fights. The 30-year-old has the edge in experience over Vijender with 81 rounds under his belt. Soldra also has a brilliant record in amateur career with 82 wins from 98 fights. Soldra has only been stopped thrice in a professional career spanning over five years and will be looking to spoil the party when he makes his first appearance in UK. Vijender claimed his fifth professional win at the Copper Box Arena last month with a blistering fifth round stoppage of Frenchman Matiouze Royer. Commenting on his sixth fight Vijender said, "I have seen videos of Soldra he is a good opponent but I am preparing very hard to give him a tough time in the ring. He's very experienced though and with 16 fights and 81 rounds he's got the advantage over me in that department but I will stop him." "I know this fight is very crucial for me and I need to continue my unbeaten record and it's important that I put on a commanding performance against Soldra to keep on course for my title shot and my homecoming. I am really excited to finish off my sixth fight on a winning note and then compete for Asia title in front of my home crowd". However, Soldra has threatened to stop the Indian in his tracks and inflict the first loss on his record. "Vijender has never met anyone like me and he will realise what it is like fighting with a real professional boxer on the May 13. I will take great delight in handing Vijender Singh in his first loss and sending him back home to India beaten and broken," he said. "In fact I will tell you what I will do to him, I will smash him to the body to loosen him up and then a right hand to knock him out, just watch me," he added. 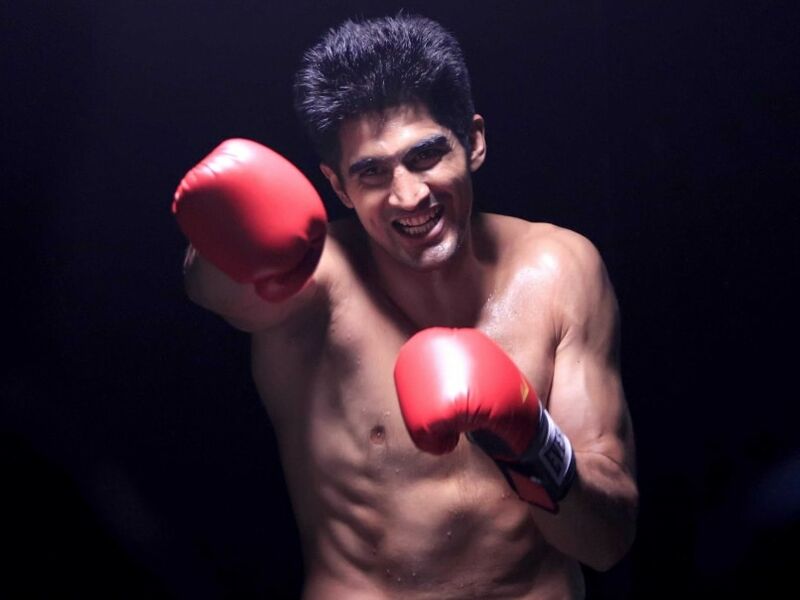 Vijender Singh has won five consecutive matches in Pro-Boxing. Andrzej Soldra has a record of 12 wins from 16 games. Soldra has been a professional boxer for five years.